Whether you watch professional wrestling or not, almost everyone has heard of WWE. With a fan base that spans the globe, it’s the biggest name in sports entertainment. In 2014, WWE launched WWE Network Online as an online streaming service. The company made every piece of content it legally could available for wrestling fans to stream live online. This even included their big ticket Pay Per View events like WrestleMania, Royal Rumble, and Summer Slam. How quickly WWE embraced live streaming online endeared the company to cord cutters whether they were fans of WWE or not. Recognized as the Netflix of Wrestling, it quickly amassed over 1 million subscribers and became a top 5 over the top (OTT) streaming service by the end of 2015. WWE achieved this accomplishment by taking a no holds barred approach to live streaming WWE video live and on demand. Considering this site focuses on writing about watching TV without cable, it wouldn’t be proper for me not to review a top 5 streaming service. So I decided to take advantage of the WWE Network free trial offered to new subscribers and let you know what I think about the service. (While this review will give you an idea of the service I recommend you try the free trial. There is no contract so you can cancel anytime). When I signed up for the service I was pleasantly surprised I was able to watch WrestleMania Online for free. The massive WWE event usually costs $60 to watch on Pay Per View through a cable provider. Apparently, if a $60 pay per view event happens during your free trial, you get to watch it for free. You can watch premiere episodes of WWE NXT and WWE Superstars. You can also watch past episodes On Demand. The 30 day delay to Raw and Smackdown are due to the TV rights currently being owned by USA Network and Syfy. However, Raw on Hulu allows subscribers to watch WWE Monday Night Raw online along with WWE Smackdown one night after the broadcast airs. For more information, check out my full review of Hulu. WWE Network offers a ton of WWE action available to stream live and on-demand. However, it’s not just available on computers, tablets, and mobile devices. With the WWE Network App, you can watch on Roku, Apple TV, Amazon Fire TV, and a whole host of other devices. The service is also very reasonably priced. WWE Networks only costs subscribers $9.99 per month. However, you can give it a try without paying a penny through the free trial. As I said earlier, you aren’t stuck watching WrestleMania on some tiny browser. Below is a list of all the devices you can run the WWE Network App on and catch the action. Android and iOS (iPhone and iPad) – After signing up, simply download the WWE Network App from Google Play Store or the iTunes App Store, install and log in. Amazon Fire TV and Fire Stick – Simply Search “WWE Network” on the home menu, select and download the WWE Network App and login with the username and password you set up above. Kindle Fire – Go to the Amazon App store, search for WWE Network and install the app. Log in with your WWE Network account. Apple TV – The WWE Network App is already installed on the home screen. Start the app and log in with your WWE Network Account. Roku – Search for the WWE Network App in the Roku Channel Store, install and log in with your WWE Network Account credentials. The WWE Network App is Also available on Sony PlayStation 3 and 4, XBOX 360, XBOX One and a host of LG, Sony, Panasonic, and Samsung Smart TVs and Blu-Ray players. WWE Network offers new subscribers a 1 month free trial. 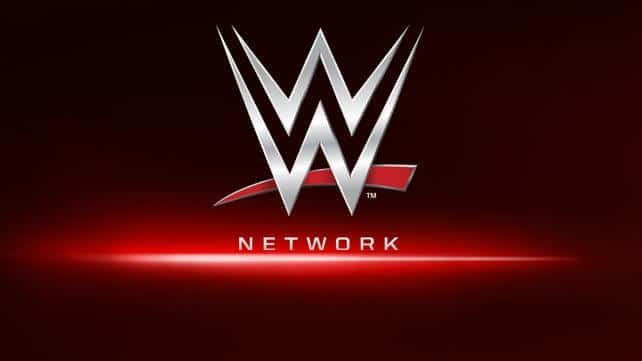 Some streaming services may offer a watered down version of their service, but not WWE Network. The WWE Network free trial provides total access to everything available, including Pay Per Views. To sign up for the WWE Network free trial, simply follow the steps below. You will be directed to the SIGN UP page. Click the “GET STARTED” button on the upper right part of the form. Chose your payment method and authorize your purchase. You will not be charged the $9.99 if you cancel during your free month. When I initially signed up for WWE Network I did see a charge on my credit card for $9.99. However, the charge was automatically reversed a few days later. If you are a fan of WWE or Wrestling in general subscribing to WWE network is a no brainer whether you have cable or not. It offers loads of content, Pay Per Views, and more for a price that makes it an excellent value. The pay per views are a $600 value alone. Furthermore, the service provides a one month free trial so you can try it out with no risk to you.